Just before Christmas in 2011, Quinn received a call from an executive representing The Regent Grand Resort and the restaurant connected with the hotel property. When asked if Quinn, his wife, and daughter would be interested in moving to Providenciales to work at The Vix restaurant, Quinn replied in record time. “I thought about it for 30 seconds. My wife and I believed the opportunity, the lifestyle, and the weather were too good to pass up,” Quinn said. The French-trained Quinn brings to The Vix years of culinary experience working under some of Ireland’s top chefs. For Quinn, cooking is something that is in his blood. “I fell into this profession. My Mother was in the catering business. I grew to love the controlled chaos of the kitchen,” Quinn said. Not even 20 years old after graduating from culinary school, Quinn climbed the ladder of his profession while working in several of Dubin’s finest dining establishments. 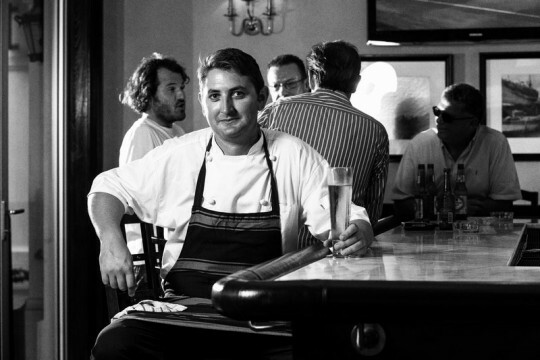 Quinn learned from top chefs at Cookes, Chapter One, Gaby’s, and the Conrad Hotel. At the age of 25, Quinn became the Head Chef at Mount Juliet House. Quinn’s next cooking challenge saw him opening Fallon and Byrne, Dublin’s largest dining room. Quinn managed a team of 21 chefs and cooked for up to 200 diners every night. Quinn’s preoccupation with freshness was ignited at Fallon and Byrne, with every meal made from scratch. Exposure to a variety of cooking styles, management styles, and new restaurant environments, triggered Quinn’s ability for setting up a kitchen with military precision and devising a menu that connects with his audience. Now that Quinn has spent more than a year living and working in Providenciales, he’s ready to make a splash with his new Vix menu. Quinn is primed to dish out appetizers, salads, pastas, seafood, and flame-grilled meals with a penchant for freshness. Quinn’s game plan for 2013 includes serving taste sensations with a distinct Caribbean flavor. 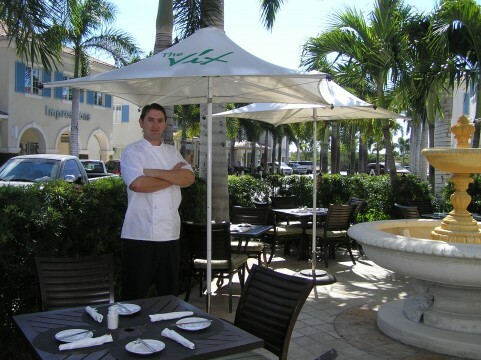 Quinn believes his new menu will go hand-in-hand with The Vix’s al fresco dining experience. Quinn believes he needs to really understand the food he’s preparing before it becomes a menu headliner. Case in point would be his first exposure to conch, the major export of the Turks and Caicos Islands. Quinn waited a full year before adding the tender snail-like meat foundin large pink seashells to the Vix menu. 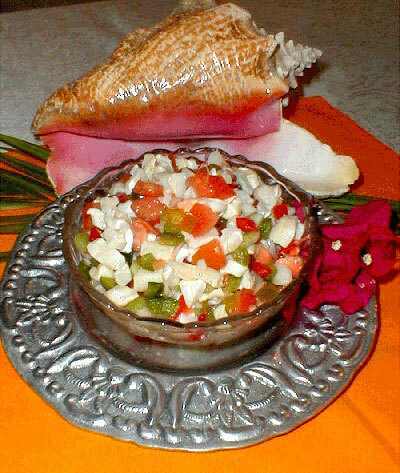 Today, Conch Agua Chili is one of the Vix’s favorite starter items leading to an entrée. This delightfully zesty hot and cold ensemble consists of avocado, chili, cilantro, lime, conch fritter, and jalapeno sorbet. 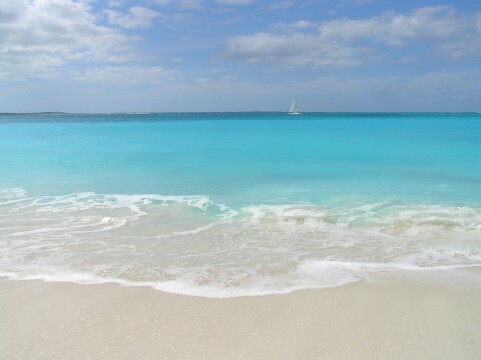 When he’s not cooking or spending time with his family, Quinn finds Providenciales to be a great locale for two of his favorite diversions, golf and rugby. Quinn’s family has taken up lodging near Provo Golf Club, Turks and Caicos’ one and only golf course. Quinn even devotes a portion of his work week cooking at the golf course restaurant. Before heading back to work in the afternoon, Quinn will do his best to sneak in nine holes of golf at his new home away from home. Whereas rugby is a heralded pastime back in Dublin, it’s fledgling sport in Providenciales. Quinn has taken up the torch for the TCI Flamingos, the Turks and Caicos national rugby team. Throughout Providenciales and especially at The Vix, vacationers will find signs promoting the island’s first international match against Jamaica. When asked if he still participated in rugby, Quinn answered with a reply that suggested that 14-hour work days weren’t as easy as he alluded to. “My legs and back aren’t quite in rugby shape,” Quinn said. 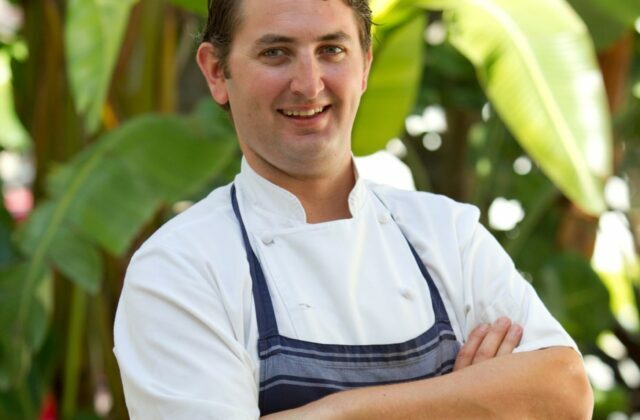 In 2013, the 34-year-old Quinn believes his second full year on the island will translate into The Vix gaining ground as one of Providenciales foremost dining experiences. For Quinn, there’s nothing better than playing to a packed house. “When we’re full, that’s when it’s time to show off,” Quinn said with a smile. There is another extra cool reason for new-year optimism at The Vix. “I’m having an ice cream machine shipped in and it should arrive any day now,” Quinn said. A 5-star recipe for Quinn is a day enjoying perfect island weather, dining under the stars, and then ice cream for dessert. For a Dublin Chef working in the Turks and Caicos Islands, finding all these ingredients within walking distance of famed Grace Bay Beach is simply icing on the cake. Tim Cotroneo is a Minneapolis-based freelance writer with a passion for travel and a future Caribbean zip code.